The Honest Kitchen dehydrated dog food is for owners who want to provide the best dog food for their four-legged friends. Learn how this brand is prepared and why it's more nutritionally complete than many other dry or canned dog foods. LoveToKnow interviewed Lucy Postins, the founder and CEO of The Honest Kitchen, to learn more about this type of diet. LoveToKnow (LTK): What is dehydrated dog food, and how does it differ from other types of dog food? Lucy Postins (LP): Dehydration uses a completely different method of processing. Instead of canning, baking or extruding ingredients, we simply dehydrate them by removing the water. Dehydration takes several hours and uses warm air to "blow away" the moisture (mostly at temperatures below 104 degrees, except for our meats and eggs, which are dehydrated at over 120 degrees to kill any pathogens).This leaves us with nutrient packed whole foods that we blend together just right for pets. LTK: How common is dehydrated dog food? LP: It's a small, but growing market. We are one of a handful of options. LTK: What are the advantages of dehydrated dog food over other types of food? LP: Dehydration is much gentler than canning or extrusion, which generally involve very high heat and pressure. High heat and pressure means that many of the natural nutrients in the raw ingredients are actually destroyed, so the manufacturer must replace them with dozens of artificial vitamins and minerals in order to make the finished product meet the AAFCO nutrient profiles. Dehydration also means that we don't need to preserve the food with artificial preservatives. LTK: How does this food compare nutritionally? LP: Dehydration is a slow, gentle method of very minimally processing the food, which removes the moisture from whole foods. It ensures that the enzymes, vitamins and nutrients are still intact, so our fruits and vegetables are actually considered raw. LTK: How long can dehydrated dog food be stored? LP: The shelf life on our foods are one year in optimal temperature. LTK: How is dehydrated food typically prepared and served? LP: Dehydrated foods must be mixed with water before serving. Many customers use our products as a standalone diet; while some mix it in with a high quality kibble, or use it as a base for homemade or raw. LTK: What changes will owners notice in their dogs when they start on this food? LP: Many of our customers tell us that they've noticed brighter eyes shortly after transitioning to The Honest Kitchen. Out of a customer survey of 1,200 customers, 78 percent noticed improved skin and coat, 87 percent saw improved wellbeing and 72 percent noticed better digestion. LTK: Is it difficult for dogs to transition to this food? LP: We recommend that pets transition over a period of five to ten days, and we have heard feedback that it's very easy to transition from kibbles or canned foods to The Honest Kitchen. LTK: Are there dogs who should not eat this type of food? LP: We have recipes suitable for dogs at all life stages. If you want to try dehydrated dog food for your dog, keep in mind that, while it may appear to be a bit pricy, you are getting more than you think. 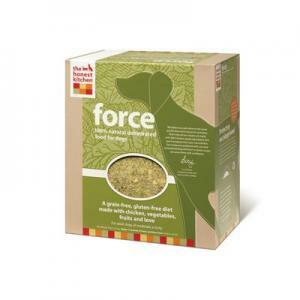 A ten pound box of Force, from The Honest Kitchen may average $77.00, but it makes 43 pounds of high quality dog food once reconstituted. If you currently buy a high quality kibble for your dog, you may actually save money with dehydrated food. Locate a retailer near you by visiting the Store Locator page on The Honest Kitchen website. You can also order directly from The Honest Kitchen and even use their auto ship program for extra convenience. The Honest Kitchen also offers supplements, treats and cat food. 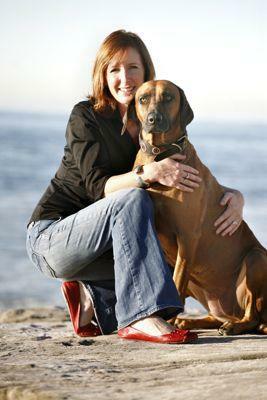 LoveToKnow would like to thank Lucy Postins for taking time for this Honest Kitchen dehydrated dog food interview.